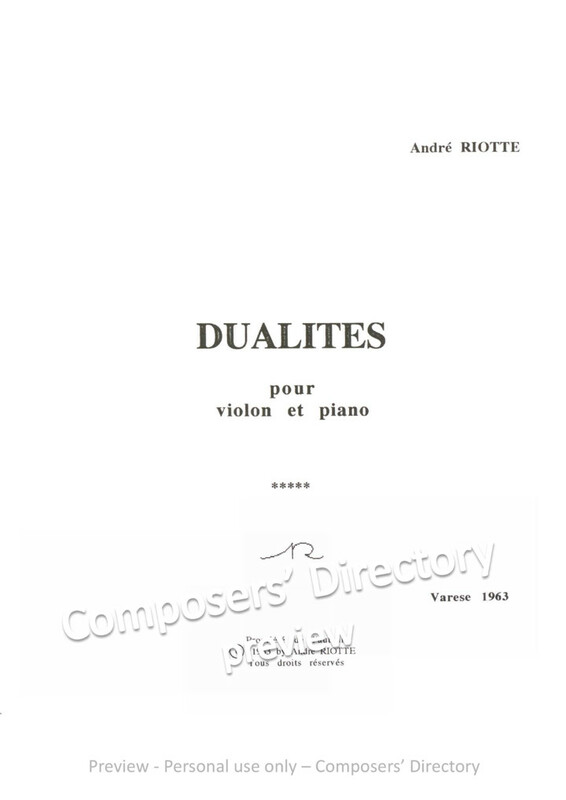 Dualités(1963) for violin and piano, performed by Michel Chauveton and Francisco De Brito (1964, Ispra, Venise, Varese), Paris (1965, Théâtre des Champs-Elysées). Spain, the United States (1965) and Italy, piano Jacques Lagarde (1966). Partition / Music Sheets (27 p.).